This project will provide sanitation facilities, household latrines and hand washing devices, and hygiene behavior change (HBC) using an Output-Based Aid (OBA) approach to 2 targeted districts in one of three provinces. Rural sanitation coverage in Cambodia is among the lowest worldwide, with coverage less than 16% leaving over 11 million Cambodians without access to improved sanitation. Poor sanitation in Cambodia is responsible for roughly 9.4 million cases of diarrheal diseases, which result in an estimated 12,000 deaths per year. In fact, diarrheal diseases are the number one cause of sickness and death among Cambodian children. Beyond health, economic impacts due to poor sanitation and hygiene are calculated at $450 million USD, or 7.2 percent of the country’s GDP (WSP, 2008). The typical approach used in Cambodia to improve sanitation often focuses on providing subsidized latrine hardware to households in exchange for a contribution of cash or construction labor. Consequently, only the better-off households who can afford to contribute benefit from the subsidy, which does not necessarily result in a change to their defecation habits, as years later hardware has been found unused and latrines abandoned (Robinson, 2007; Sok & Catalla, 2009), which is especially common when the end-user’s preferences or desires are not taken into account (Jenkins & Sugden, 2006). Accordingly, simply making latrines cheaper does not increase sustainable demand, and in terms of supply, nor does it promote an effective supply chain accessible by the end-user. EMW and its partners recognize that the communities in Takeo, Kandal, and Svay Rieng are not among the poorest of the poor; however, their sanitation coverage rates are still below the low national average (see chart in full proposal). 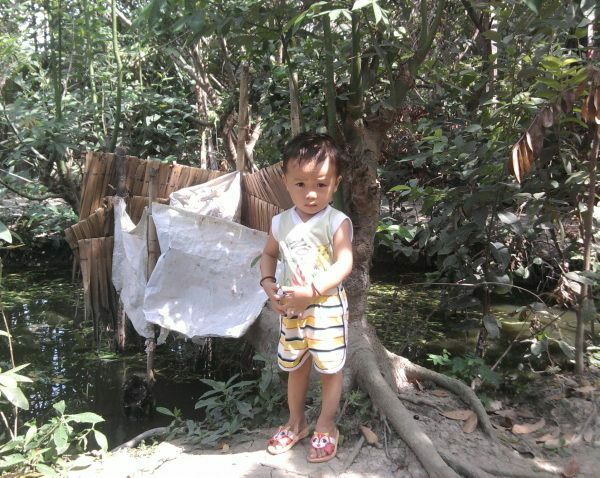 Conduct two (2) field study trips, one in Vietnam for Oxfam America and WaterSHED-Cambodia to study EMW’s sanitation model in the Mekong Delta region and the other in each of the three targeted provinces in Cambodia to determine the pilot model for sanitation work in Cambodia. Establish a Community Wealth Fund, which is used in conjunction with Saving for Change micro-financing model to either provide rebates (about $20 USD) for hardware costs to only ID-1 or ID-2 Poor groups and/or expand micro-financing into new target districts to increase the reach and scale of the project. Educate and build capacity of animators within Saving for Change groups in sanitation and HBC to establish community-led awareness and stimulate demand for sanitation products. Launch HBC campaign goal to establish Open Defecation Free (ODF) zone with modules in hand washing with soap, consistent latrine usage, and drinking only safe water. Develop and implement promotional HBC campaigns on market-based research. -Construction and installation of 300 household sanitation facilities. -HBC program delivery for 300 households in 2 targeted rural districts in one of three provinces including Kandal, Savay Rieng, or Takeo provinces. Oxfam’s Saving for Change is an innovative community-led micro-financing model, which serves as an instrumental tool that organizes community members to participate even at the lowest levels of income. All groups are self-formed and leadership is selected by consensus. Leaders, called animators, are then trained in various subjects including sanitation, HBC, economic literacy and subsequently transfer the knowledge back to the group to implement a community-driven savings and loan program. Each person saves for a targeted purpose and the collective savings are then loaned to each member of the group, in this case for latrine systems. The entire process is managed by the membership and the outcomes (latrines, hand washing devices and HBC) are also fully owned by the members, hence community. EMW aims to leverage this innovative approach with its strategic partners in Oxfam America and WaterSHED-Cambodia while working closely with the Ministry of Rural Development, which is responsible for the Sanitation and Ministry of Health which shares the responsibility for hygiene education. Economic literacy, thrift and micro-finance are subjects that each member fully participates in and uses as a vehicle to leverage understanding about sanitation and HBC. Since members leverage the Community Wealth Fund (CWF) and repay back into the fund with interest, the CWF actually grows over time. The loan default rate based on Saving Change Model is less than 1% over the past 5 years. The vision is to leverage the CWF to catalyze new areas/villages to bring sanitation and micro-financing to new areas. Saving for Change instills a savings and loan scheme that requires each member to “pre-finance” the cost of a latrine system. After capacity building workshops, groups decide to target latrine systems as a “communitywide goal” which requires members to save up to the full amount of the cost of a system, approximately $150 per system. Only in some extreme cases, the community wealth fund can be used for poorest of the poor where a rebate of about $20 is introduced. All labor and materials are sourced locally. A joint initiative between East Meets West Foundation (EMW), Oxfam America’s Saving for Change, and WaterSHED-Cambodia brings together a robust partnership with a set of rich, diverse experiences in community-led micro-financing, market-based approaches to hygiene behavior change, and over 23 years of social innovation in scaled-program impact and sustainability. The strength of Oxfam America’s Saving for Change program complements the deep market-based knowledge of WaterSHED-Cambodia in promoting HBC and strong supply chain efficacy to ensure that target communities not only have financial access to sanitation hardware and services, but also a strategic match-making of demand with strong supply-side options. WaterSHED-Cambodia possesses extensive market research knowledge including sourcing, distribution channels and consumer end retailers to improve the efficiency, cost and quality of sanitation supply goods. In short, the vision of this partnership brings together diverse NGOs to work together in enabling Cambodia’s rural provinces to reach its MDG targets, particularly environmental sustainability for rural areas. What would be the individual toilet cost and how you are organizing it. When we look at the individual toilet cost it is very low than the Indian Type of toilet. What kind of support will provide by the project to the community. ID1 and ID2 are the two poorest categories within the IDPoor classification system based on the Cambodia Ministry of Planning (http://www.mop.gov.kh/Projects/IDPoor/tabid/154/Default.aspx). Generally, ID1 and ID2 groups are the most vulnerable because of limited resources. Specific to WASH sector projects, ID1 and ID2 groups tend to have the lowest participation/success rates in CLTS or sanitation marketing approaches. Our approach is to make sure these target groups are inclusive within our hybrid CLTS-sanitation marketing scheme. Per our proposal, we haven't actually decided on an actual, singular toilet design because this is part of the planning process. Further, the decision maker(s) in this process are group leaders that decide which toilets are "a best fit" considering cost, type, durability and etc. At the same time though, there is an impressive array of products based on info from WaterSHED-Asia that are not only quality, but affordable which are environmentally appropriate for Cambodian rural areas. You have a good concept but we wonder how you will go for 300 unit of toilets in 7 months. I would like to know more about the design of toilet. And what is the idea of community wealth fund ?? what are the strategies for CWF if we know we can also use the strategies in our operational area. Please see response from previous post. However, one example of a toilet that is a strong option is the Easy Latrine. 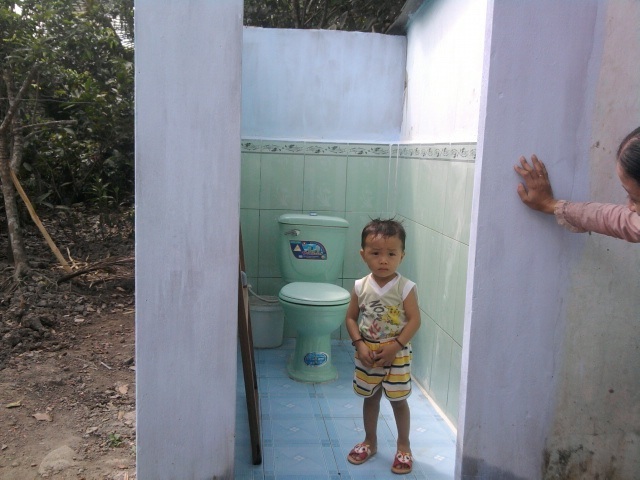 (www.ide-cambodia.org/download/EZ_Latrine_award_2010-09-28.pdf). The cost of this latrine is about $25 USD which involves hiring local masons to build the setting. The short term objective of the CWF is to support the capacity building of "savings groups" and their leaders within a target village to initiate and sustain a community-led savings and micro-finance program. By grounding the savings groups in fundamental skill sets in economic literacy, savings/thrift, group dynamics/organizing, public health issues, sanitation issues and etc., the group then goes through a collective decision making process that determines the target of their micro-finance program to address a variety of community issues including sanitation. By building a collective, community-wide campaign around sanitation (i.e. similar to CLTS), the group achieves total sanitation by purchasing latrines through their very own micro-finance program. The long-term view is that the CWF can also be leveraged to setup additional savings groups in other unmet areas that meet our criteria. It was great to have the opportunity to read your proposal and learn more about your program implementation model. I particularly liked that your approach is demand driven and aims to reach a group that is unable to take advantage of the subsidized latrines that are available. I have a few general questions. You have mentioned Community Led Total Sanitation (CLTS) and some CLTS terminology in your proposal e.g. ODF. Is your organization using CLTS as one of the promotion tools for the project or are you collaborating with another organization that is using this approach? Has this been a helpful tool? My other question centers around the Community Wealth Funds. If I understand correctly, East Meets West will contribute money into these funds to help expand their reach into new areas and/or provide a rebate to households that choose the latrine project. What is your plan if demand for the project exceeds 300 households? How will you select households that are eligible? Looking forward to reading your response and learning more about your program model - we're very interested as we are working towards expanding our project into sanitation. Thank you Claire for your questions. EMW and its partners, especially Water-SHED-Cambodia are very familiar with the CLTS approach, among others as a promotion tool. In terms of experience, we find that almost always that CLTS is successful when it is combined with other tools such as sanitation marketing (e.g. market knowledge and products) and financial access (e.g. micro-finance). In Vietnam, these other components are represented by other entities within the larger community including the local Vietnam Women's Union and Social Policy Bank. To be a successful strategy, all the tools need to be leveraged by the key players that have a "shared-risk" in the implementation. For EMW, this framework is connected to our experience in Output-Based Aid (OBA), which is what we are trying to do by bringing together strong partnerships in Oxfam America (i.e. micro-finance and community building) and WaterShed-Cambodia (e.g. market knowledge) in our hopeful work in Cambodia. Great question. This particular proposal is for a pilot, which we are aiming at most two villages which would put us at the 300 household mark. Given the learning from this pilot, EMW and its partners are in the process of raising other funds (e.g. Global Sanitation Fund) to scale the pilot to somewhere near 10,000 households. In terms of overall demand, it's adequate to say there is definitely both need and demand for sanitation work in Cambodia. This seems to be a comprehensive and realistic proposal. Good to focus on strengthening knowledge, empower people, use their capacities and learn from the neighbors. Would be good to see more proposals like this. 1. Could we add some other folks to the field trip? There are a few partners in India working on eco-san and getting experience of another sanitation approach might increase learning and collaboration. I did also feel that the budget for visits seemed rather high - more like the budget from India to Vietnam. 2. Who is going to manage the funds and projects as the funds start coming back and new communities are searched? The owner of the project is not clear, esp. the fund-handler. 3. Should WaterSHED Cambodia be a member of PWX? Sounds like their projects should be on the platform. Also Oxfam if their Saving for Change program has worked in other places. 4. I hope that we can track this project on PWX with regular field reports, trip reports. Our progress/status report can create a nice history of all activity. Would like to work with you to add a finance module to track the fund over time. Thank you Rajesh for your thoughtful questions. 1. Provided that other participants can self-finance and coordinate with us, I think emboldening the participation and learning during the planning stage can be very high added-value. We are open to this idea. 2. EMW will be the fiduciary agent for the entire project. Per the handling of funds for the CWF (and subsequent expansion to new target areas) funds will be passed to the appropriate partner(s) for implementation. 3. WaterSHED-Cambodia should definitely be a member. I think they have a tremendous wealth of experience and perspective to bring to this online community. EMW is fortunate to have WaterSHED-Cambodia as a valued partner in this particular project. Per Oxfam America Saving for Change, I understand it has been tremendously successful in West Africa (e.g. Burkina Faso, Mali, and Senegal), reaching over 110,000 members since 2005. Other Saving for Change programs also exist in Central America as well. 4. I totally agree and EMW is intrigued about your idea to add a finance module for long-term tracking. I'm quite interested in the Saving for Change program in Central America--thank you for mentioning that. We at El Porvenir are in (and have been in) a debate about how best to develop projects: is sweat equity enough? should the project beneficiaries be required to pay a portion? etc. We now have the local governments where we develop projects contributing a portion, and some beneficiaries are contributing portions as well. One community we are working with is rehabbing a water system and paying for it themselves through micro-credit. We're excited to see how this will work. The sanitation field is changing so fast: providing choices on toilets, micro-credit options, sanitation as a business,... It's all quite exciting. This is a good project to support as it is dealing with more than 1500 people, it involves other funding agencies so gives chance to learn more and exposure to more discussions. this project also dealing with hand washing practices and dealing with extensive training programs. Community will get chance to build their capacity on sanitation practices through the project. The initiative in Cambodia is based on the market model of promoting sanitation, which is fine, however there still needs clarity on how the groups will operate and maintain the infrastructure. Further the provision of water is not clear which will also determine to a large extent the use of toilets. This project is very well planned and the implementing organizations have a high capacity to carry out the project to it’s full potential. The need for better sanitation in the target areas is clear and it is particularly appropriate that the project is aimed at a group that is unable to take advantage of other subsidized latrine projects. There are several aspects of this proposal that make it innovative and sustainable. The project encompasses community education, locally appropriate sanitation options and importantly, access to financing. I have had several discussions with CLTS implementers in Kenya who are frustrated with the model that raises awareness and then doesn’t help local people with the tools needed for long term change. This proposal is different. As an organization that also uses a demand driven model that is community led, I have found this proposal very interesting and will be looking into the Oxfam Saving for Change approach as we begin to add higher priced WASH products to our program. Good proposal. New space for BPN, but seems worth it. Just found some of the finance too high-level estimates but i trust the EMW oversight and control to get all the final accounting audited. This project seems to have very low cost technology for the creation of sanitation facility to 300 households in the project area of East Meets West Foundation, Cambodia. The project can be considered for funding. Excellent project. The cost of 1 toilet - 25USD is surprisingly low. Here the mason wages alone comes around 60-70USD. Good job. This sounds like a worthwhile sanitation program that offers all the components needed to be successful: toilets, hygiene education, and hand-washing stations to implement the hygiene learnings. The proposal talks about how wealthy people install toilets and then don't use them, so it seems hygiene education is particularly important. Since these are the poorest areas of Cambodia, I'm surprised the non-repayment rate is only 1%. A recommendation: a proposal with fewer acronyms that is more straightforward and easier to understand what will be accomplished and where.